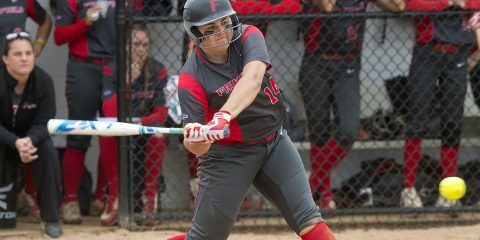 The Fairfield Women’s Lacrosse team opened up their 2019 season with an impressive 13-9 win over the College of Holy Cross Crusaders in Worcester, Mass. Senior Taylor Mitchell led the Stags with five goals along with an assist, equaling six points, in which her goal and point totals are both career-highs. To start off the game, Jillian Winwood ‘21 opened up the scoring just over six minutes in the contest with the first goal of the game, which was assisted by Mitchell. As a response, Holy Cross registered two consecutive goals of their own, first from midfielder Bryn Carroll ‘20 and then from attacker Keely Connors ‘19 to give the Crusaders a 2-1 lead in the first half. 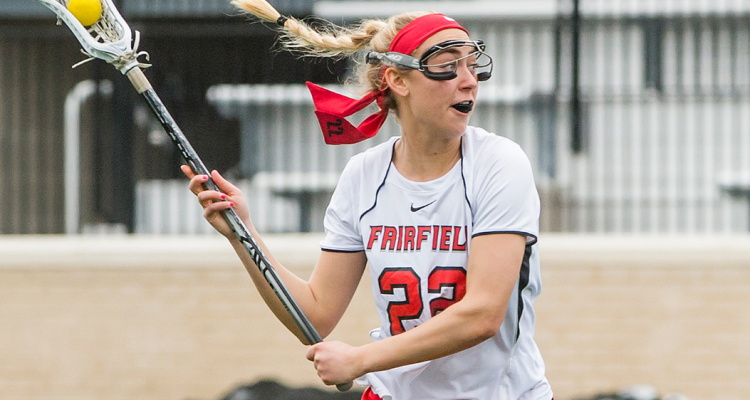 This lead did not last long as Fairfield took less than two minutes to answer and tie the game at two, with a goal from midfielder Kelly Horning ‘21. After tying the game, the Stags struck home three straight goals, all courtesy of Mitchell, to give Fairfield a 5-2 lead with a 6: 34 minute lead before the first half. This three goal stretch proved to give the Stags the necessary momentum for the rest of the game as they did not relinquish the lead afterwards. However, before the half ended, Holy Cross midfielder Jolie Creo recorded her first goal at the 4:36 minute mark to cut the Fairfield lead to 5-3. The Stags did not lose any steam as they came right out, attacking and scoring just two minutes in the second half from midfielder Diana DeVita ‘21, pushing their lead back to three goals. It only took a minute for the Crusaders to respond as Connors scored her second goal of the game and Carroll registered her second point of the game. Four minutes later, midfielder Audrey Mandaro tallied her first goal of 2019 as Holy Cross pulled within one goal of Fairfield with over 24 minutes left in the contest. Midfielder Winwood rattled off three consecutive goals over a six-minute period to push her goal total to four on the day as DeVita added her second goal of the game. This was the second time in the game that Fairfield scored four straight goals as the Fairfield lead swelled back up to five with an overall score of 10-5. With goals from Mandaro and Connors around the 11-minute mark, the lead was again trimmed to three goals but the Fairfield offensive firepower became too much for Amanda Belichick’s Holy Cross squad. Taylor and Mitchell added goals for the Stags as Connors recorded her fourth goal with just 17 seconds left, also seen as a garbage-time goal. 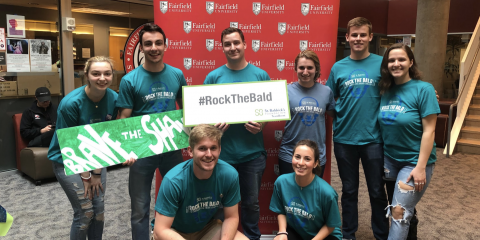 Whenever Holy Cross seemed to surge and threaten Fairfield, the Stags always had an answer all game long as this win will set the Women’s Lacrosse team’s confidence high to start the season. The Stags will take on University of Connecticut on Wednesday, Feb. 13 at Rafferty Stadium as they look to go 2-0 on the year.